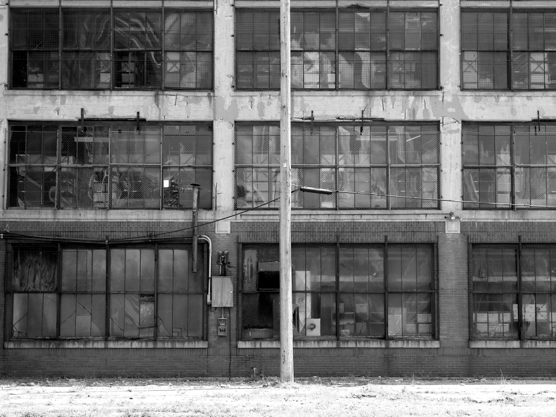 There is rich history in Detroit. 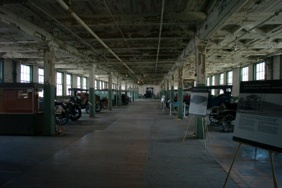 There is Ford’s original Model A plant (from 1904, now a small private museum), Ford’s Highland Park plant c. 1920, where the Model T was made in volume, and assembly line first implemented, now used as a corporate paper depository. 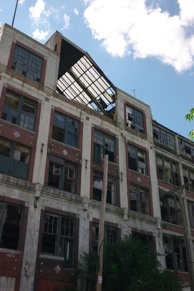 Also seen were the abandoned Packard plant, River Rouge, and notable stunning corporate buildings – the Fisher, Albert Kahn, and GM. 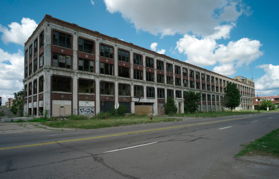 There are some significantly beautiful houses in the inner city of Detroit as well – including a FL Wright block house from the 1950’s. Also, just north of Detroit is Cranbrook, with its amazing Saarinen designed grounds, and a world-caliper art school. A prototype house on display had off-the shelf parts and some custom CCN milled bits to make special moments. 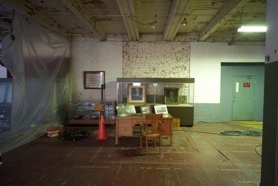 From top and down: Ford’s first plant for the model A, his office on the shop floor, and production floor. 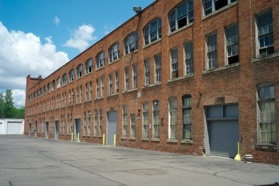 Above, the Highland Park Factory for the model T.
Top right – new prototype house at Cranbrook. 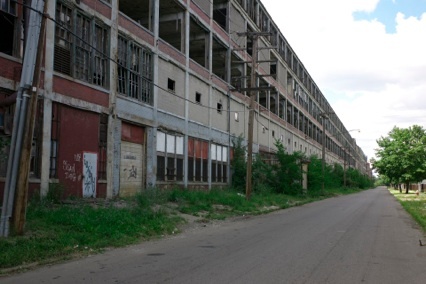 Above and below, abandoned massive Packard plant. 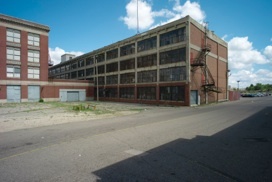 Ford’s Highland Park factory, now a paper depository.